The foreground is reclaimed mine land, with the active coal mine behind. That debt wasn't necessarily a bad thing… until 2015. “The price of coal started dropping and the companies were no longer able to pay the interest on that debt,” Morgan said. He said the sudden drop made it clear Alpha Natural Resources, Peabody Energy, and Arch Coal would soon declare bankruptcy. Morgan represented a coalition of environmental organizations in the proceedings. The three bankruptcies left a big question mark around how they would pay clean-up costs here in Wyoming. 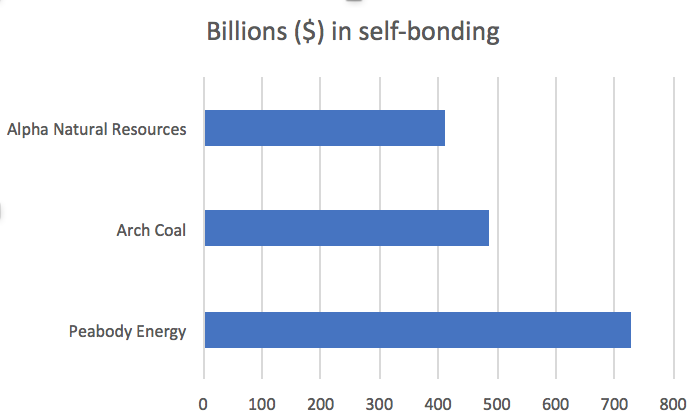 After all, they hadn’t put any money down due to an insurance-type method called self-bonding, which is basically an IOU from mining companies to later pay for reclamation. “[It’s] essentially [an] unenforceable promise that the company is never going to go out of business,” Morgan said. But they did. The companies had self-bonds valued at around a billion and a half dollars that almost fell on taxpayer’s shoulders. They did eventually manage to avoid it. "The big lesson that the state and others learned was that the self-bonding system was inherently flawed and needed to be fixed,” Morgan said. And now, that’s happening. The Wyoming Department of Environmental Quality has released proposed rules that would limit self-bonding. They have been in the making for about a year, though the process started in 2013 with a state-wide energy strategy. Self-bonding began in the early 1980’s. Kyle Wendtland, Land Quality Division administrator for the Wyoming Department of Environmental Quality (DEQ), said they’re intended to bring the rules up to date with today’s more complex financial structures. “It's a chance to be reflective of what things look like at this point in time today. The development of the operations, the risks, all of the owners, all of that looks very different from what it did 30 years ago,” he said. The proposed new rules add significant limits to self-bonding that help reduce the risk to taxpayers. For instance, one proposal would force companies to diversify how they bond. The DEQ wants to cap self-bonding at 75 percent of a company’s clean-up obligations down from 100 percent. And that’s only if they’re in the strongest of financial situations. "In your own financial investing, you don’t put everything in one financial instrument. Most people have a variety of mutual funds and other investments for that very reason to spread that risk,” Wendtland said. The remaining percentage can be bonded using methods including real property collateral or third-party bonds. The proposed regulations would also prohibit backing bonds with machinery or equipment, limit self-bonding to mines that have at least 10 years of life ahead, and depend on the ultimate parent entity to qualify for self-bonding. These are just a few of the proposals. He said he would prefer self-bonding be done away with entirely, but if that’s not going to happen, he’s glad to finally see limits. “It’s a recognition that these sophisticated multinational companies were able to take advantage of those loopholes in the older regulations and that there’s some commonsense fixes that could be put into place that make sure that companies aren’t going to leave Wyoming taxpayers hanging,” Morgan said. One of those loopholes he'd be happy to see close allowed companies to use subsidiaries to qualify for self-bonds, without having to consider a parent company’s financial health. "It was really just a matter of shifting numbers around on the balance sheets and those subsidiaries really shouldn’t have qualified. That’s now closed in the new regulation,” Morgan said. He said, now is a perfect time to make the transition to new bonding methods, given there is significantly less self-bonding today in Wyoming than there was a decade ago with only three coal companies still using it in the state, nine overall, counting bentonite and trona. 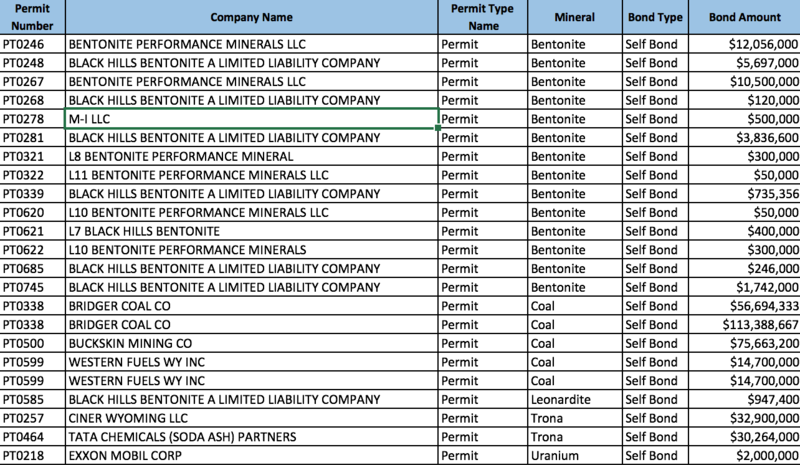 One of those is Rocky Mountain Power’s Bridger Coal Company with around $170 million still in self-bonds. 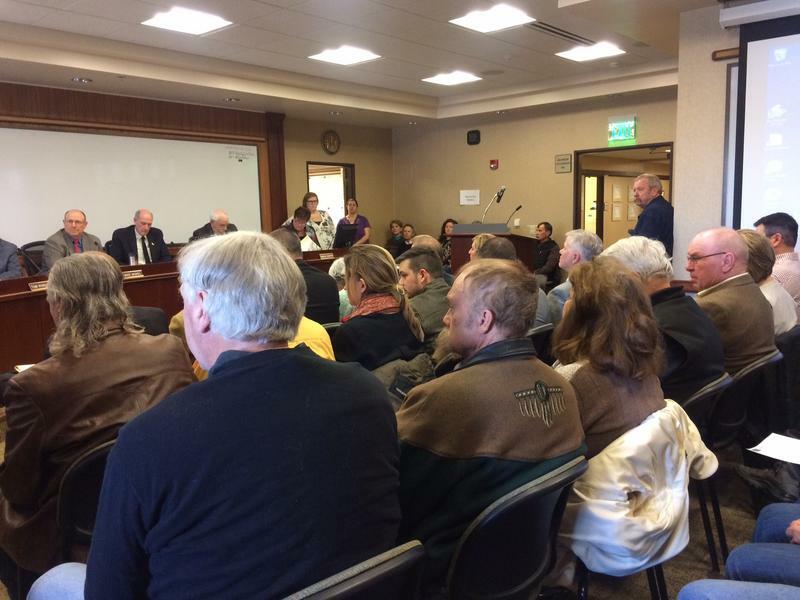 Dave Eskelsen, Rocky Mountain Power spokesman, said there will be impacts to Bridger if the rules are changed. “The rule as proposed would likely increase the cost of providing electric service for our customers because the companies' ability to self-bond has a significant benefit to our customers,” Eskelsen said. Other industry members have voiced similar concerns. Travis Deti, executive director of the Wyoming Mining Association, says the proposed standards are now too strict. "It has to be something that companies can take advantage of. We don’t believe the standards should be set so high that a company simply can’t use it." 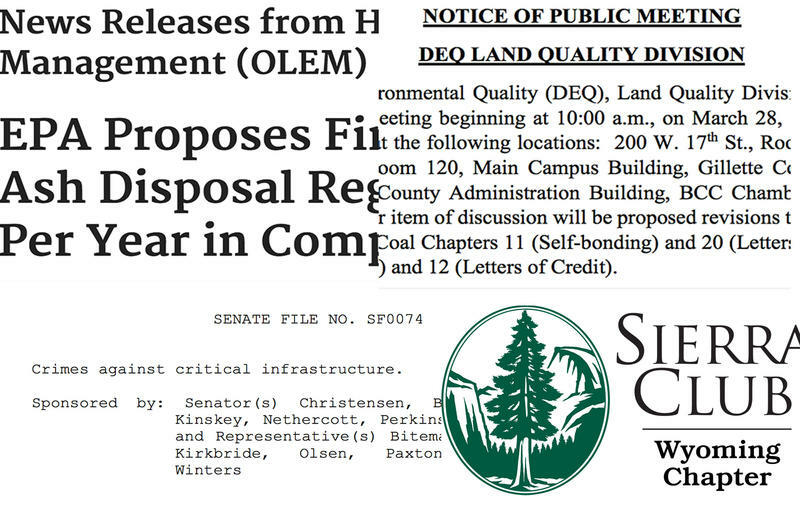 Deti noted a proposed change to how the DEQ would determine a company’s financial strength. Instead of a year-end review, the Department would look at the tougher long-term credit rating. 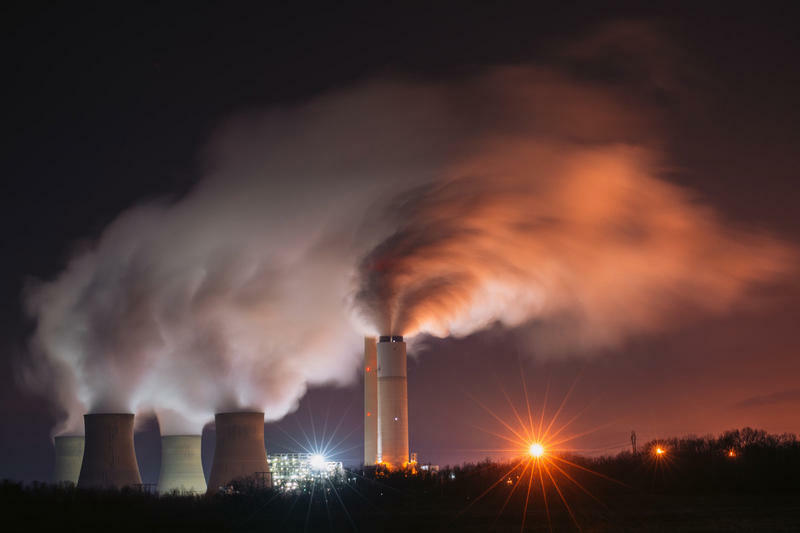 “The draft sets some of those standards so high that when companies were producing 400 million tons per year their credit ratings wouldn’t be good enough,” said Deti. But Deti added he understands changes need to come. 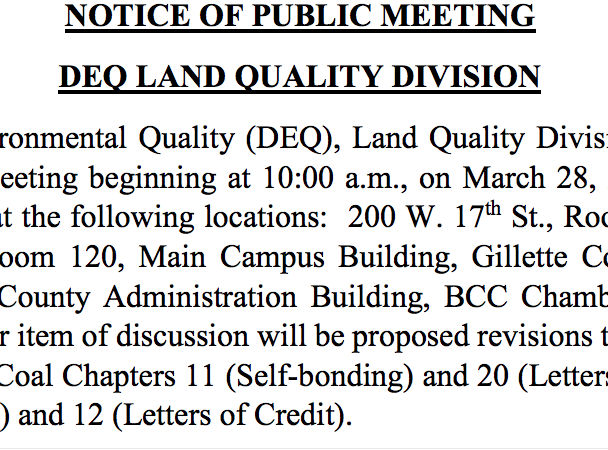 The DEQ's Land Quality Division’s advisory board will meet around the state on March 28th to discuss the final proposed rules. A public comment period is open until then. If the rules are approved, the Environmental Quality Council will be the next in line to consider them. Finalizing changes are still at least a year away. You can comment on this issue here.